Greater and Greener conference attendees tour the Mississippi River by water with Wilderness Inquiry. Minneapolis and Saint Paul have the two highest rated urban parks systems in the nation. For this reason, more than 1,000 people visited the Twin Cities last month for the international urban parks conference, Greater and Greener. 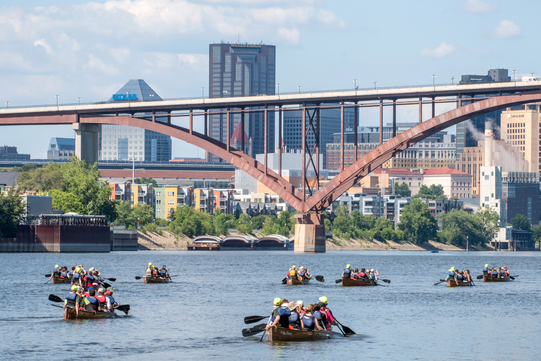 City planners, parks leaders, and public officials from across the country experienced Saint Paul’s world-class parks by foot, bike, kayak, and light rail. Members of our Great River Passage team gave tours of some notable sights along the river, including Indian Mounds Regional Park and Pig’s Eye Regional Park. Read more about the conference in this column by Mike Hahm, the director of Saint Paul’s Parks and Recreations department. Calling all kayakers: Paddle Share now open! Mississippi River Paddle Share users exploring the river this summer. 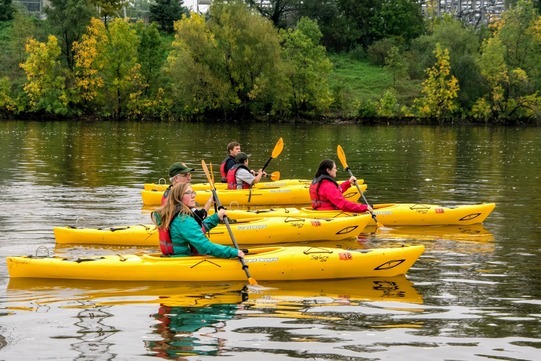 New to Saint Paul this summer: kayak rentals along the Mississippi River! Paddle Share is a self-service rental system, so you can reserve kayaks online and then use the code you receive to unlock your equipment. Saint Paul’s Paddle Share route starts at Hidden Falls Regional Park and goes down the Mississippi for six miles, ending at Harriet Island Regional Park. The Mississippi River inspired some beautiful photos from our three local photographers in residence last month. Erin Carter snapped this river view from the house boat of John Senglaub and Teresa Muckala, Friends of Pool 2 board members. Check out these artists’ growing image library. Photo by Great River Passage photography resident Erin Carter. There have also been fantastic photos of the Mississippi River on social media. Congrats to @will_wright4 for being the July winner of our public photo contest. 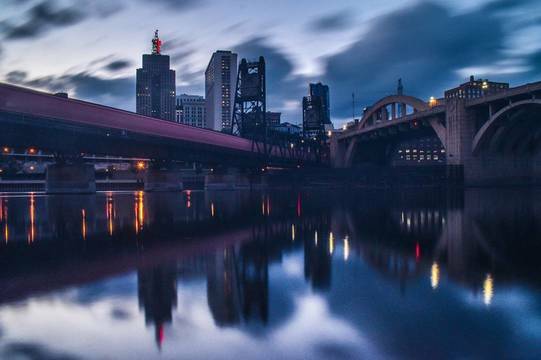 We select a contest winner each month, so make sure to submit your best riverfront photos. To enter, post pictures of the Mississippi River in Saint Paul to Facebook, Twitter, or Instagram using the hashtag #STPriver. 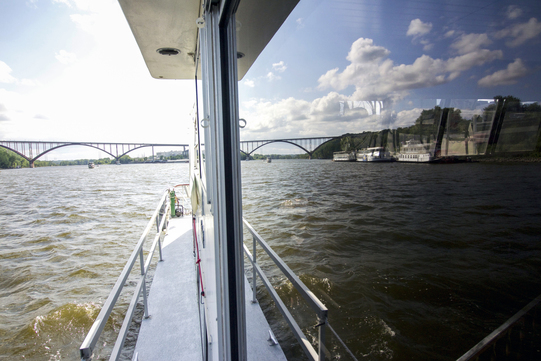 Participants must also follow the Great River Passage on Facebook, Twitter, or Instagram. Visit the Great River Passage website for more information.